Today, I am thrilled to be interviewing author, mother and disability rights activist Hillary Savoie. I was lucky enough to meet Savoie from her writings on The Mighty. Through her honesty and wit, Savoie walks her readers through an emotionally charged journey -- searching for a diagnosis for her daughter. On this journey, you will cry and laugh and cry some more, but you won't feel alone, because the beautiful thing about Savoie's writing style is that she makes her readers feel as if they are traveling alongside her. Hello, Hillary! Thanks for joining us on Crazy Cakes and Eskimo Kisses. Hello Ali, Thanks so much for taking the time to talk with me! It’s fantastic to have a conversation with another Mighty Voices writer! I am so thrilled to have you with us today. How did you begin writing? I think it is fair to say that I have always written in some way, but in a relatively quiet, personal way. I started writing privately to and about Ez when I was pregnant with her. But when Ez was about 18 months old, her seizures started to become out of control—she was seizing one day out of seven, having an average of fifteen seizures in that time. I had to take leave from my doctoral research and quit an exciting teaching position. Ez and I spent our days in my bed, recovering from her seizures. I was feeling very isolated, so I started my blog, the Cute Syndrome, as a place to update my family and friends and to talk about what our days were like. 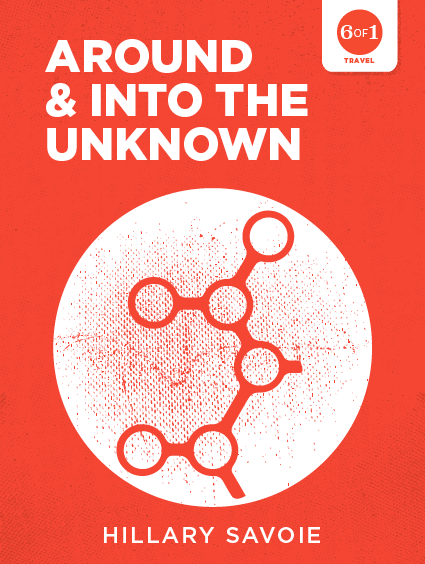 What brought you to write "Around And Into The Unknown"? Honestly, my friend Channing asked me to write "Around And Into The Unknown." Back in 2011 I had written an article for Complex Child about searching for a genetic diagnosis. This was before Ez was given her first diagnosis of PCDH19 Epilepsy. This winter after we received the news that Esmé’s diagnosis was changing back from somewhat “incomplete” to “undiagnosed” Channing suggested that I revisit my feelings about the process of genetic diagnosis for the Ponies and Horses Travel 6 of 1 series. The piece really wrote itself, honestly. I was shocked by how quickly it came together. I had covered some of the ground in my blog…but it was a wonderful opportunity to take a step back and really look at the journey we’d been on for four and a half years. I think I needed to write it to really understand how I felt about all of it. Your book, "Around And Into The Unknown" chronicles your journey in search of a diagnosis for your daughter. What advice would you offer other parents who are also searching for answers and diagnoses? It sounds almost silly to say, but, all of this time I thought that having a diagnosis would help me to find a community of others who understood what I was going through. What I have learned, however, is that just because children might share a genetic diagnosis, it does not mean that they or their families are automatically bound together. The difficulty of our process of “fitting in” somewhere made me realize that I was focusing on the wrong things. I’ve made lifelong friends because of our stints with PCDH19 and SCN8A “diagnoses.” But those friends aren’t friends because of some genetic change our children might have in common…they are friends because they are wonderful, driven, caring, positive, funny people. I’ve also made friends in the feeding tube communities, the writing communities, the undiagnosed communities, the medically fragile communities, and so on. In other words, I found “my people” with or without a diagnosis. So, I would suggest to someone on a similar journey that as much as labels can be helpful, they aren’t necessary for finding a place where you feel understood and supported. That can happen elsewhere—but most importantly, it has to happen inside you. In your book, you write, "...I know for damn sure that some people don't get happy endings. And I also know that a real lot of us just have to figure out how to have happy happenings." Those words truly resonated with me. What is your happy happening? For a while I just felt like my life was going so far off track from what I had expected. I had this fragile child who I was terrified was going to die. I was petrified all the time…and I felt like I was missing out on the life I had planned. You know, the one where I could watch my child grow and change and become independent. Where I could have the career I had been building. But a person cannot stay in that mindset and have any kind of life. I had to accept that I was going to do everything I could to give Esmé a safe and happy life. That I could watch her change and grow and gain some independence—it would just look differently that I had anticipated. That I would take the loss of the career I planned as an opportunity to do something I couldn’t have otherwise: start a foundation and write. And that had to be a gift. A painful, challenging, beautiful, fun, terrifying gift of a journey. And I guess that is the happy happening—to not look for a happy ending. What was the most challenging part of writing "Around And Into The Unknown"? The biggest challenge for me was writing about my feelings in the early days of knowing about her potential genetic disorder. I wanted to be able to capture some of what I was feeling in an honest way, but in some respects I feel like I was a totally different person then. It was like writing a fictitious character. It was hard to think about how naïve I was, and how hard it was for me to understand what was happening. It made me sad and sort of angry at myself for being so clueless. "Whoosh," your second book, is due to be released later this summer. Tell us what the book is about? 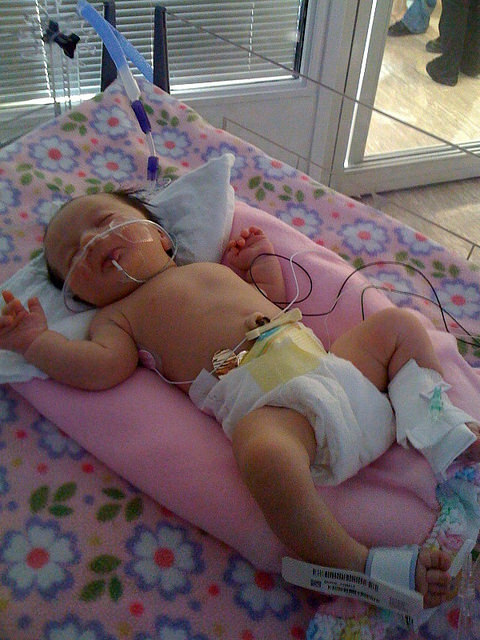 When Esmé was 3 ½ months old she developed severe pneumonia as the result of her food and reflux going into her lungs—something that was happening because of her low tone and poor coordination. Although the problem was probably occurring since birth, it became unsustainable and she came very close to dying in the Emergency Room. Those moments in the ER, and the days that came after, as we waited to see if she would recover, are the most defining days of my life—of my role as Esmé’s mother. In some ways I have been trying to write “Whoosh” for years, really trying to process and claim that day and our story for myself, for her, for our family. Do you have any tips for readers or advice for other writers who want to get published? My advice is I guess somewhat unsatisfactory, but it is that frustrating and freeing truth—if you want to write: Write, write, write (and write some more). And if you want to be published: submit, submit, submit. You will learn from the process of being rejected (because that is what happens all the time!) and, eventually, you will find places that love what you have to say and how you want to say it. And those places will help your work find its way to your audience. Besides writing, you are also the Founder and Director of The Cute Syndrome Foundation. Can you tell us more about the foundation and the work you do there? I started the Cute Syndrome Foundation in May 2013, about six months after Esmé’s PCDH19 Epilepsy diagnosis. At the time there was only one foundation funding PCDH19 research—they were located in Italy. They were doing great work, and I wanted to help. So I started the Cute Syndrome Foundation and partnered with them. A year later we put out a call for grant proposals for the first competitive PCDH19 research grant—funding a two-year 100,000 Euro project at the CNR Institute in Milan. While we focused entirely on PCDH19 in our first 18 months, TCSF was founded with a broad mission so that the foundation could support research for other rare disorders. We are in the middle of our first SCN8A campaign with our SCN8A partners. I started the foundation because I wanted to have a venue to discuss Esmé’s disorders in terms that were not just human scale, but child-scale. By which I mean that for all of this talk about what makes Esmé’s life difficult, scary, and different than other children, she is, first and foremost, just a kid. A kid who happens to be tough as nails, funny, sweet, clever, and adorable. I wanted to run a foundation to help advance research and awareness of disorders like PCDH19 and SCN8A, but I wanted to do it in a spirit that was appropriate to her personality and spirit. I have just finished another piece called “A Neurological Heart,” which is about how Esmé’s heart function and brain function overlap. It is a similar length to “Around And Into The Unknown.” I really like writing these quick-read length books, and think I may have a few more up my sleeve. I have also begun working on a longer full-length memoir and have designs on a Young Adult story about Esmé and the magical world I sometimes imagine she inhabits. My website www.hillarysavoie.com has more information about me. 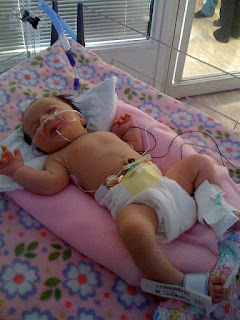 My blog www.thecutesyndrome.blogspot.com is also a great place to get more background on our family. Thank you so much for this opportunity to chat with you about Esmé, our journey, and my book! It has been such a pleasure! This is a fascinating interview with a woman who is obviously immersed in the love and care of her beautiful daughter. I am confident she has taken extraordinary challenges, conquered them and not let them define who she is. Thank you for bringing this to us, Ali! Nice work. HI Rhonda! Thanks for reading this! I'm so happy that you are interested in reading about my beautiful girl!